Dr. Morrel-Samuels received an MA in research methodology from the University of Chicago, an M. Phil. and a Ph.D. in experimental social psychology from Columbia University, and a Master of Science in Law from Northwestern University’s Pritzker School of Law. His work occupies the intersection of three areas: the psychometrics of assessment design, statistical analysis of “big data” analytics, and discrimination in the workplace. He has more than 30 years’ experience designing and analyzing assessments for employees in government and large corporations. He often serves as a Lecturer at the University of Michigan, teaching graduate classes on assessment design, statistics, and research methodology. Other previous academic appointments include faculty positions at Columbia and the University of Michigan Business School. In addition, he has held research positions at IBM, HP, the University of Chicago, and Yale. His published articles have appeared in The Journal of Experimental Psychology, Behavioral Research Methods, Proceedings of the National Academy of Sciences, The Journal of Personality & Social Psychology, California Management Review, Physician Executive, and, Harvard Business Review, among others; (his first HBR article was on the design of assessments in the workplace, and his second was on web-based surveys.) Practical experience includes assessment services for non- profit organizations, (e.g., Blue Cross-Blue Shield), government agencies (e.g., the Department of Justice), and numerous Fortune 500 companies (e.g., FedEx, GM, California Edison, Bank of America, Xerox, Sprint, Coca-Cola, Sears, and Disney). He is the author of four patented employee assessments, and has been an expert resource for the New York Times, Detroit News, and the Wall Street Journal. Dr. Morrel-Samuels has testified to Congress on employee motivation and its linkage to objective performance metrics; he has also served as an expert witness for both plaintiffs and defendants by providing statistical analysis of very large datasets in four types of lawsuits: employment discrimination cases; contract disputes, pension lawsuits, and litigation pertaining to decision making based on surveys, assessments, or employee evaluations. He assisted the NAACP in its amicus brief for the Ricci discrimination case in New Haven, was the sole statistician in a successful $64M breach of contract case (Tower Automotive v. UNOVA) that required analyzing 4 million rows of data, testified as an expert witness at the ICC’s International Court of Arbitration in The Hague, provided statistical analysis in a large pension lawsuit involving the Miami Police Department, successfully withstood all six Daubert challenges filed against him in Federal Court, and recently served as the EEOC’s expert witness in one of its landmark discrimination cases. In addition to his teaching responsibilities at the University of Michigan he is also the founder and CEO of EMPA (SurveysForBusiness.com), a company that has designed and analyzed assessments for more than 7 million employees in over 70 countries. Cathy Bean is EMPA’s Principal Research Associate. She has a Bachelor’s Degree in Environmental Science from the University of Michigan. Her experience includes 2 years performing industrial hygiene audits, monitoring asbestos removal, and managing staff assignments at Clayton Environmental Consultants, as well as 15 years working for the Michigan Department of Environmental Quality. During her tenure at the state, she monitored compliance of Municipal and Industrial permitted facilities that discharged waste water to surface waters. As part of her work, she was the state’s lead administrator of the Rouge River Remedial Action Plan (RAP), a cleanup plan for Michigan’s most polluted river. She also implemented a “state of the art” voluntary storm water permit program, the first of its kind in the Nation. 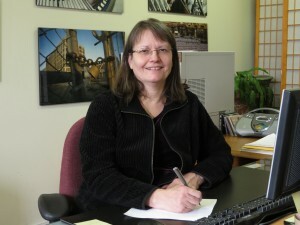 Ms. Bean has had extensive experience interpreting regulations and evaluating compliance data.